Woodspring Golf and Country Club has many years of experience in catering for your entire needs and requirements. 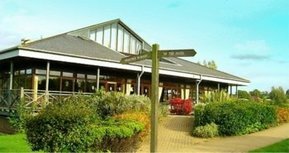 Set in 235 acres of beautiful parkland the clubhouse with its own private bar can accommodate up to 150 mourners and has lovely views over the golf course. 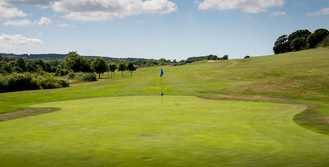 Peace and tranquillity make Woodspring Golf & Country Club the perfect place to reflect with family and friends. For daytime funerals (before 5pm) catering with our buffet for over 50 mourners there is no room hire charge in either of the above rooms. For wakes between 35 & 50 mourners a room hire charge of £80 will apply for our Main Bar or Woodspring Suite plus the buffet price for the stated number of guests. Wakes start at £350 which includes 3 hours private room hire, 6 choices from our buffet menu and unlimited tea & coffee for 35 guests. Every guest after the initial 35 will be charged at £8 per person for the 6 choice buffet and £1.50 for unlimited tea & coffee. We pride ourselves on delivering a professional service along with offering value for money and can assure you of our attention to detail. or come in and view the room for yourself.